Note It's the same model sold in Japan as MZ1500. 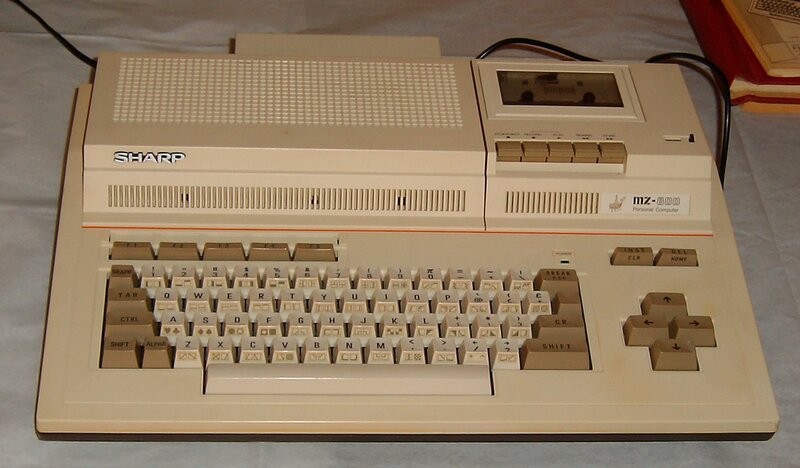 The MZ-811 has no data recorder built-in. The MZ-821 has the built-in tape recorder. In some countries, like Scandinavia, the MZ was sold with a Quick Disk drive instead the tape recorder.